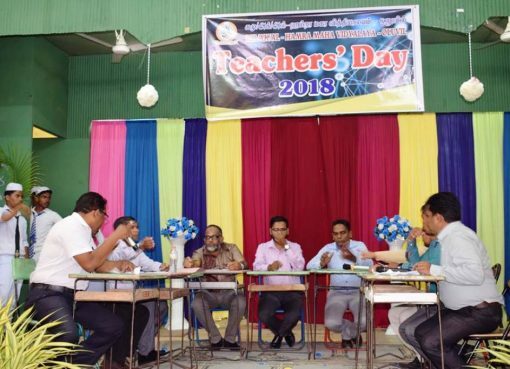 The An-Noor Maha Vidyalaya, Addalaichenai is conducted an awareness program on ‘Drug free nation and health education’ for students at the school premises under the ‘National Schools Drug Eradication Week’ recently. 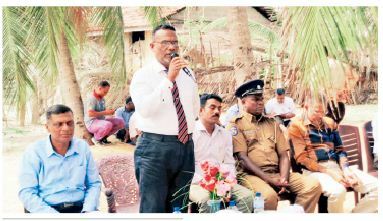 The Akkaraipattu Zonal Education Director A.M.Rahmathullah was the During the event, students of this school vowed that day will not use narcotics and also avoid smoking completely. A banner containing the signatures of student in relating drugs issues were also exhibited at the School premises.